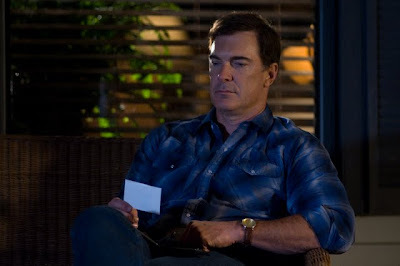 Although his foreman Toby (Clint Black) tries to warn Hank (Patrick Warburton) that raising a teenager is nothing like breaking a wild Mustang horse, it doesn't stop Hank from trying and awkwardly failing to employ the same techniques with his estranged daughter Carrie (Tammin Sursock). 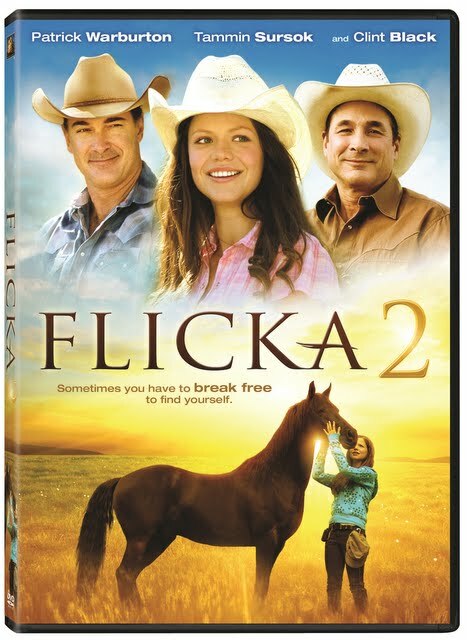 Relocating from Pennsylvania to Wyoming to live with a man she can barely remember once her guardian grandmother begins to suffer from increased dementia, the streetwise skateboarder finds it increasingly hard to drop down her guard enough to trust anyone in her new home, until that is, she unexpectedly bonds with the very spirited horse with whom she can most relate – Flicka. Left in Hank's care by his niece Katy (Alison Lohman from the previous film) who is away at veterinarian school, it's BFF at first bite when Flicka instinctively protects the new arrival Carrie from a rattlesnake by taking the bite to save the girl from harm before stomping the snake out for good. 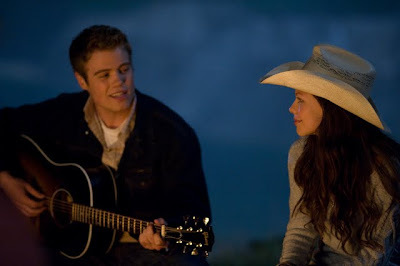 And nursing Flicka back to health to save her life in return gives Carrie her first meaningful connection in Wyoming as secretly she begins taking riding lessons from a cute teen farmhand in between her daily chores. Now stranded without internet access or a workable mobile phone, Carrie's adventures with Flick continue to grow over a long summer and when a jealous local snob threatens their relationship, Carrie must do everything in her power to persuade Hank that sometimes you have to break free from rules in order to do what's right when life and love is at stake. 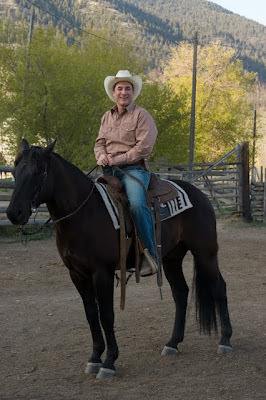 Although Clint Black seems much more at ease in the role of the cowboy than Seinfeld co-star and Family Guy voice actor Patrick Warburton, the Flicka sequel is on par with the first film in terms of sheer quality, girl power, and watchability for both tweens and the rest of the family. Far better than I was expecting it to be and one that very well could have played theatrically instead of being released straight-to-disc, Flicka 2 manages that delicate balance of presenting a predictable storyline with which we're already familiar of the teen fish out of water and displaced “orphan” reuniting with a relative by infusing it with a fresh approach, new faces, and a nice contemporary yet wholesome feel that makes it solid entertainment for its target demographic. While I kept hoping that Alison Lohman would show up for a cameo since her character is referenced so often and indeed the film does open up the possibility for a third installment, Flicka 2 boasts a solid turn from its adorable newcomer Young and the Restless star Sursok and great backup from Clint Black who proves he's a country music star that's as comfortable in front of the camera as he is in front of a screaming crowd. Hitting DVD on May 4, the beautifully lensed film that relishes in the wide open spaces of Wyoming – shot with a much more vivid color scheme than the Pittsburgh opener – also contains behind-the-scenes features like an interview with Black and more information about the North American Mustang that isn't to be confused with a manual on raising teens.